The Kleist family built the Orpheum Theatre, shown here under construction in 1926. 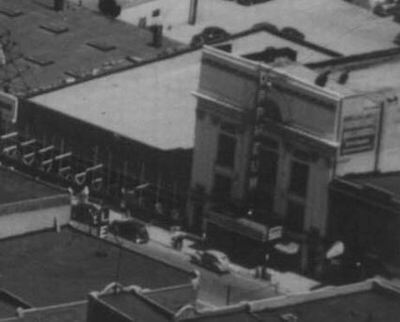 It was considered the queen of dowtown theatres owned by the Kleists, which included the Strand, the Eagle, the Oakland and the Rialto. It had the thickest blue carpets, softest seats, showers for the performers and a $25,000 pipe organ. In addition, it featured 2 bowling alleys, a billiard room, two stores, and the best barber shop in town! It was torn down in the 1950s.